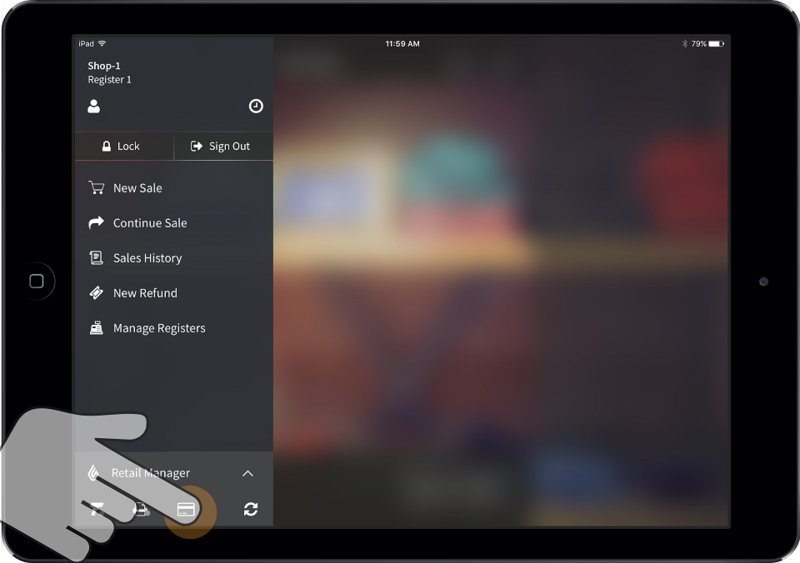 This article describes how to set up a card reader for use with Lightspeed Retail POS for the purpose of processing credit card payments. Before connecting your card reader, you must integrate payment processing within Manager mode (see About POS and Manager modes). 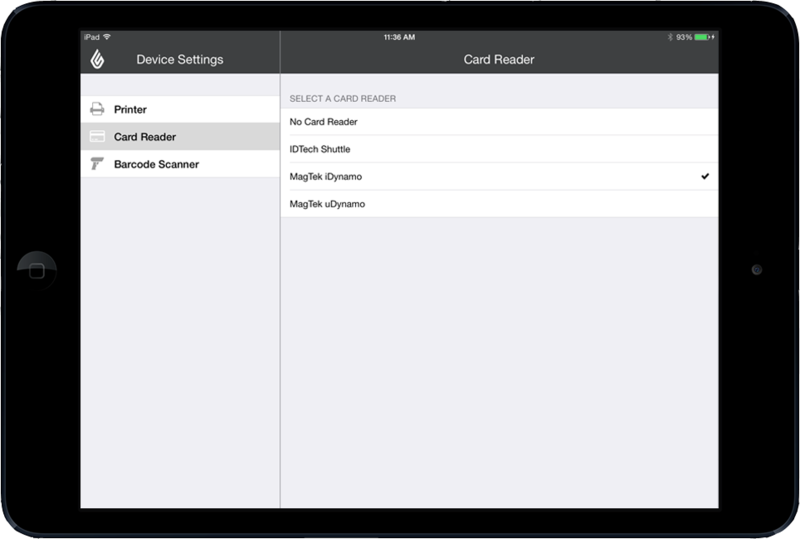 MagTek iDynamo: Insert the card reader into your iPad's dock connector. MagTek uDynamo/ID TECH Shuttle: Insert the card reader into your iPad's headphone jack. NOTE: The Magtek uDynamo is not compatible with the iPad Pro. For MagTek uDynamo and ID TECH Shuttle card readers only, go to your iPad iOS Settings screen, and enable Lightspeed in Privacy > Microphone, and then increase your iPad’s volume to maximum level. The volume setting sets the voltage for the card reader and must be set to maximum. NOTE: If a payment terminal is currently enabled in the device settings, a payment terminal icon appears instead. In the Card Reader settings screen, select your card reader. Ensure that the card reader status icon in the main menu is green (see Hardware Status).